“Never corner your enemy – he will fight back. For the travellers never meant good news. For such were the powers that they held. Danced, like they danced, to the desire of their Maker. Of how the old king is no more the sire. With rising smoke from burned out fire. For the lives they breathed were no longer theirs. 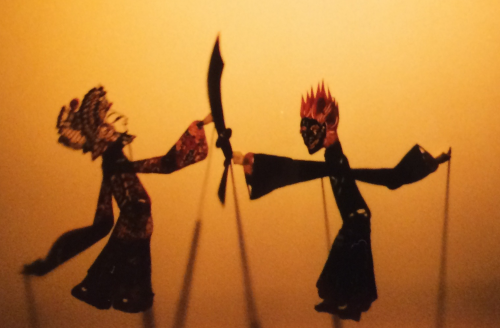 The poem is inspired by the practice of sending in a troupe of puppeteers before raiders attacked a city. The puppets would play out how the city was to be liberated the next morning, returning the citizens to their rightful kings. The puppeteers never survived the morning’s assault, but their tales were retold in the court of the victorious king and were laid down in the histories alongside those of the martyrs. Sauce for the inspiration please?